HP Printers deliver outstanding print quality at incredible speeds. 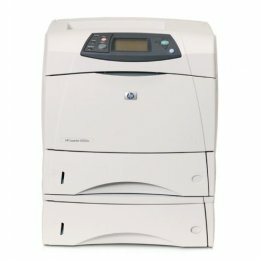 You can enjoy simplicity and reliability with fast printers that create crisp text, bold graphics and bright pictures. INCLUDES 1 YEAR WARRANTY. The HP 4250 Laser Printer increases workgroup productivity with quick print speeds up to 45 ppm. The HP LaserJet 4250 printer supplies you with the capabilities you need with a host of versatile optional features, including high-capacity paper trays, stapling and stacking accessories. For best-in-class quality, reliability, and performance, the HP 4250 LaserJet is the perfect choice. The HPP3015N features a 10-key pad ensuring only authorized individuals have access to the printer by entering a private PIN. 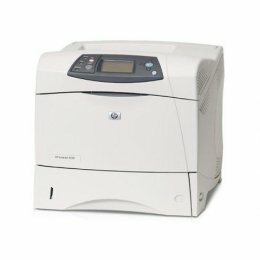 With instant on technology and a print speed of 42 pages per minute, the P-3015-N is capable of printing large projects. 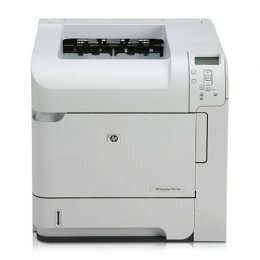 Print directly from a USB or over the network using the 3015N. INCLUDES 1 YEAR WARRANTY. The HP LaserJet 4250 series maximizes workgroup productivity with high print speeds of up to 45 pages per minute and less than 8 seconds for the first page out. The HP 4250DTN Printer features a 460MHz processor, expandable memory, and internal networking. An embedded Web server and Web Jetadmin are included in the HP 4250DTN Laser Printer, allowing you to change settings and run upgrades easily. INCLUDES 1 YEAR WARRANTY. 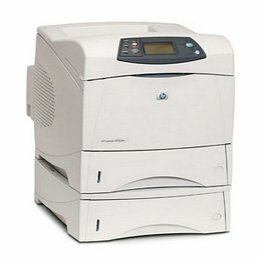 The HP 4350TN LaserJet Printer is built to keep up with the busiest office. Designed to handle large workgroups and a high monthly output the HP LaserJet 4350TN large capacity machine delivers the quality you've come to expect from HP. The HP 4350TN Laser Printer's 1100-sheet standard paper capacity and 55 ppm print speed will get your biggest jobs done faster than ever. INCLUDES 1 YEAR WARRANTY. 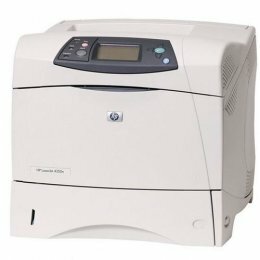 The HP 4350DTN Printer's 96 MB of memory and large paper capacity, enables it to keep up with the busiest office. 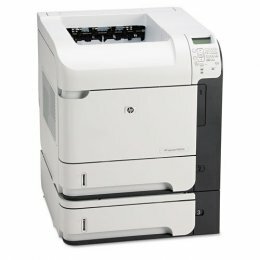 Built to handle large workgroups and a high monthly output, the HP LaserJet 4350DTN is an outstandingly fast machine (55 ppm) and gives you the quality you've come to expect from HP. The HP 4350 LaserJet Printer can be adapted to fit your constantly changing business requirements by adding networking and a range of paper-handling and finishing accessories. 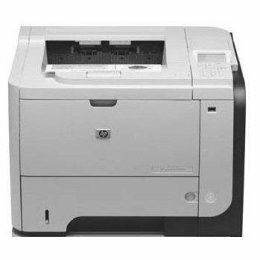 INCLUDES 1 YEAR WARRANTY The HP Laserjet LJ-P4014N Printer will improve your productivity. The HP LJP4014N is a quick, networked laser printer that delivers premium performance. 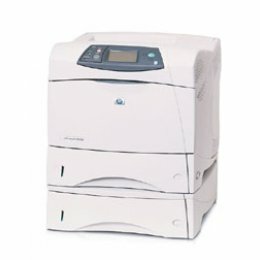 The HP Laserjet LJ P4014n Printer is an affordable means to make reliable, hassle-free printing available to workgroups. INCLUDES 1 YEAR WARRANTY. 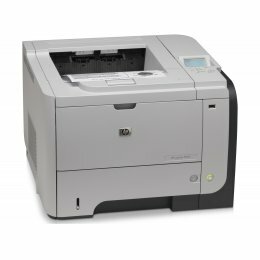 The HP 4350N Laser Printer is built to deliver power and versatility. The HP LaserJet 4350N is a high-performance, high-volume printer that offers networking features to meet the needs of your large work group. Rely on the HP 4350N LaserJet Printer for crisp, clear, black and white output at a speeed of 55 pages a minute. 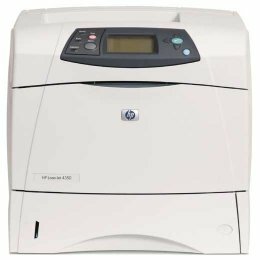 INCLUDES 1 YEAR WARRANTY The HP P4515N Laser Printer is a great black and white printer for large office which need quick and efficient printing. 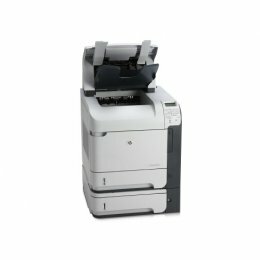 The HP 4515N can hold 600 sheets of paper and print at 62 pages a minute. INCLUDES ONE YEAR WARRANTY. The HP 4350 Printer will give your workgroup high performance and maximum productivity. The HP LaserJet 4350 deliers even large volumes quickly with print speeds as high as 45 ppm. 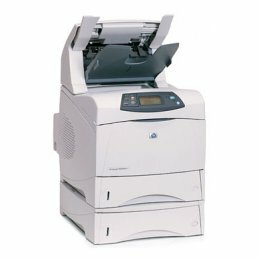 The HP 4350 LaserJet can be adpated to fit with your ever-changing document requirements by adding networking and a variety of paper-handling and finishing options. INCLUDES 1 YEAR WARRANTY. 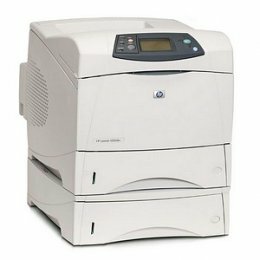 The HP 4350DTNSL Printer has 96 MB of memory and a large paper capacity, enabling the busiest offices to keep up with their workload. 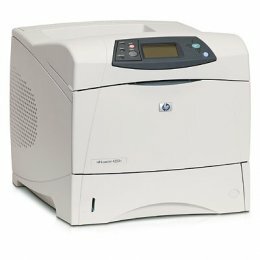 Designed to handle a high monthly output, this exceptionally fast (55 ppm) HP LaserJet 4350DTNSL delivers the high quality you've come to expect from HP. Save time with automatic duplex printing, stacking and stapling, and super output capacity on the HP 4350DTNSL LaserJet Printer. INCLUDES 1 YEAR WARRANTY Trust your confidential information to the HP P4015TN high-performance laser printer with leading security features. Meet the needs of your workgroup with the HP P4015TN Printer's extremely fast print speeds of up to 52 ppm, great expandability, as well as simplified use and management. INCLUDES 1 YEAR WARRANTY Be impressed with the HP P4515tn Laserjet Printer, printing documents at fast lightning speed of 62ppm. It is a flexible, high-performance laser printer, superb for all workgroups. 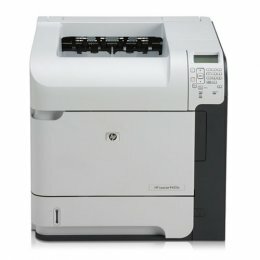 INCLUDES 1 YEAR WARRANTY The HP P4515TN Laserjet Printer can print at the lightening speed of 62ppm. The HP P4515TN includes all the features of the P4515 base model with additional networking capabilities and paper tray capacity. It is a flexible, high-performance laser printer, superb for all workgroups. HP Printers give you the professional results you're looking for. 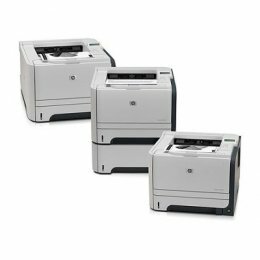 HP provides a wide selection of printers designed for home office, small business or large enterprise.